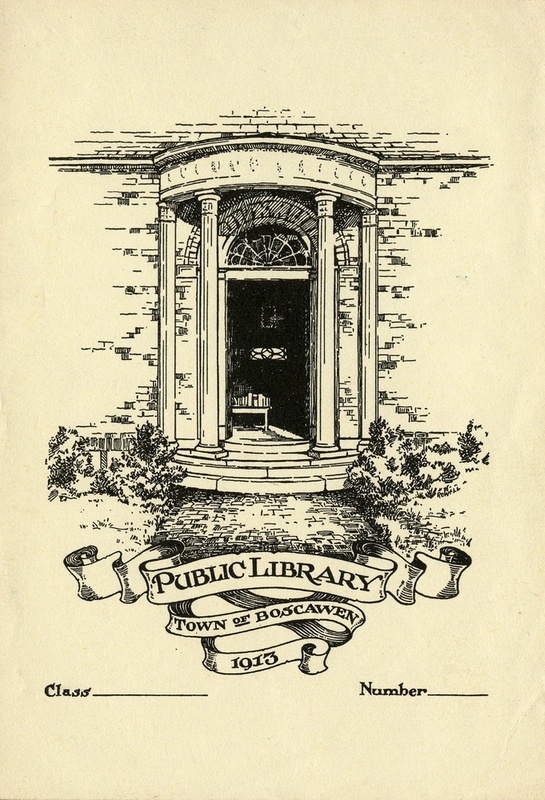 Pictorial-style, institutional bookplate featuring the entrance to the library with columns and foliage surrounding. Title text on banners below. Handwritten indication on reverse that the bookplate was previously part of the Hovey Collection. 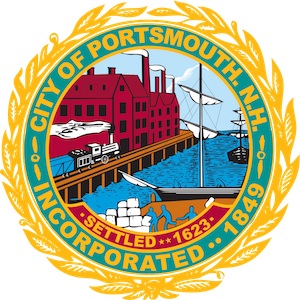 ~ Unknown, “Public Library, Town of Boscawen, 1913; Class _; Number _,” Portsmouth Public Library's Online Archives, accessed April 21, 2019, http://portsmouthexhibits.org/items/show/1853.